Reset button for EconomyCare+ central monitor. 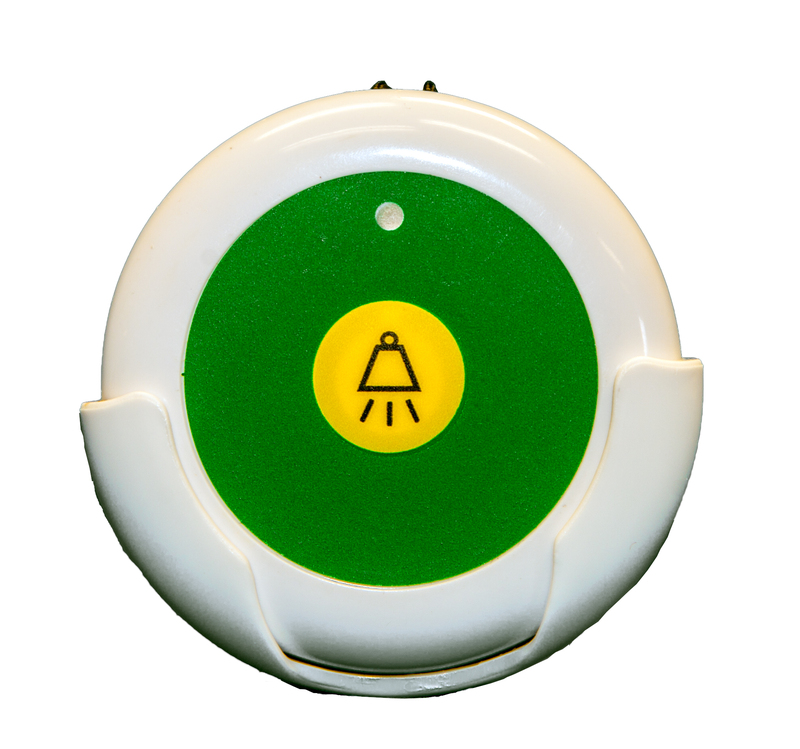 This button will cancel all active alarms on the central monitor without having to go back to the monitor. Great for large facilities or in facilities that may not have a nurse at the central station at all times. Usually this is installed in a discreet location of a hallway, nurse break room, janitorial or nurse supply closet. This button DOES NOT take up a channel on the EconomyCare+ central monitor. Lanyard Included - Can be worn via Lanyard for easy access. Small - Not a hassle to carry around!